I don’t know what came over us this weekend, but Annie the baby and I where all sick with some sort of stomach bug. Thankfully we are for the most part better now and we can get on with our daily routine. Quincy is advancing a lot in potty training, he now asks to go to the potty (sometimes) and other times he goes and grabs the potty himself. The other day I was playing with him in the room and all of the sudden he disappeared. I set out look for him and found him potty on hand at the bathroom door. It is so amazing to see him grow and become so independent. Over the last few weeks his vocabulary has expanded tremendously, he now fully understands almost everything you tell him and most of the time is able to reply. Although I must make note that his reply 90% percent of the time is “NO”. He is adorable, you can ask him pretty much any question whether it is positive or negative the answer is always the same. For some reason he hasn’t gotten that concept down yet, some people have told me that maybe we tell him no way too often, but what can we do. He is 2 years old and runs around the house like a crazy person getting into and touching everything. Sometimes I get so scared that he may get hurt. Last week was particularly hot and in order to survive the heat we brought in an old stand up fan and set it up on the living room. Well, last night I had to frantically yell “NO QUINCY NO!” as he was inching towards the fan with his little fingers to touch the blade. Work has been pretty good although because I was sick I had to miss 2 days, this week is short to begin with because of the 4th so I only get to work 2 days. I would say it’s a perk but since the first 2 days of the week I was sick I don’t think it’s much of an advantage. Oh and I can’t leave this post without making mention that on Thursday June 25th 2009 we lost of the greatest performers of all times. On June 25, 2009, Jackson collapsed at his rented mansion at 100 North Carolwood Drive in the Holmby Hills area of Los Angeles. Attempts at resuscitating him by his personal physician were unsuccessful. Los Angeles Fire Department paramedics received a 911 call at 12:22 p.m. (PDT), arriving three minutes and seventeen seconds later at Jackson’s location. He was reportedly not breathing and CPR was performed. Resuscitation efforts continued both en route to the Ronald Reagan UCLA Medical Center, and for an hour further after arriving at approximately 1:13 p.m. (20:13 UTC). He was noted to have been in cardiac arrest by the paramedics who attended him at his house. 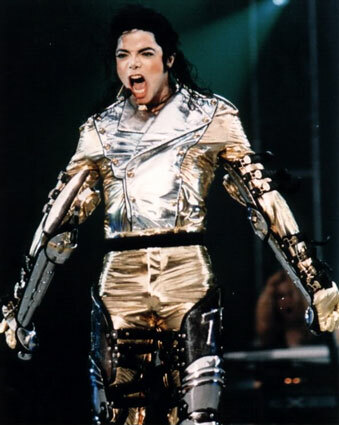 Jackson was pronounced dead at approximately 2:25 p.m. local time (21:25 UTC). Rumors and news of Jackson’s death broke web records, triggering a cyberspace traffic jam and creating severe traffic spikes to websites such as Google, Facebook,, Twitter and Wikipedia. Vigils were held by members of the general public after the death.